Before this change, it would be good to turn off gravity for the Admin Editor. The Scene Currently does not have water. 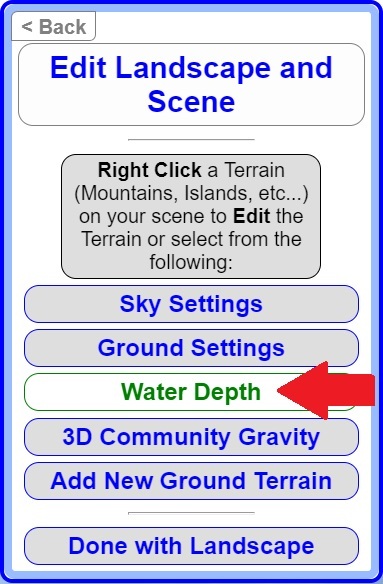 If we Edit the Water Depth, it will become a water scene. By default, Extended Ground is is at Y=0 height. This exposes no water and the water is not rendered in the scene. 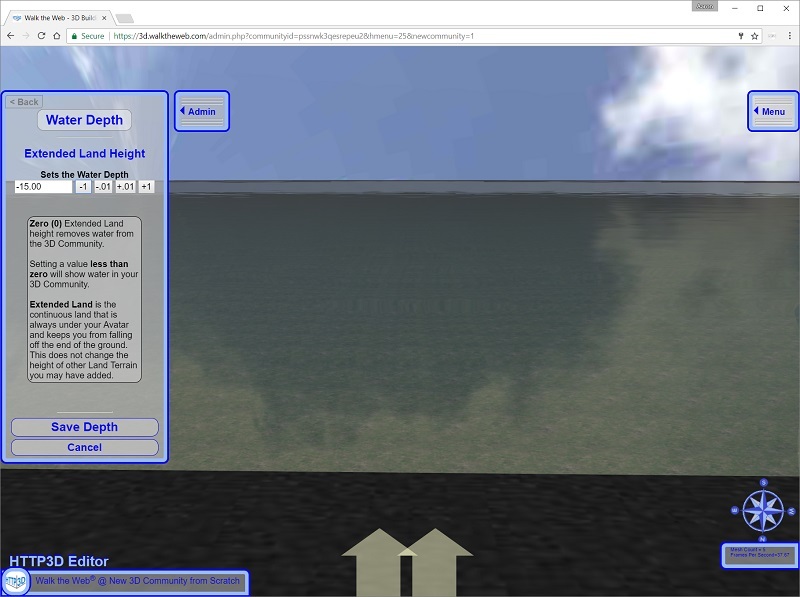 You set the Water Depth by lowering the Extended Ground. When the Extended Ground is less than 0, Water is rendered. Notice, even at Extended Land Height = -1, you see the water.